David Ramos started sailing at the age of 7 and became interested in RC Sailing at the age of 17 with EC12 Meters. After studying Mechanical Engineering and Small Craft Design he went on to a career in the marine industry starting with Hunter Marine and eventually ending up in Annapolis working over three years for Bruce Farr and Assoc. After leaving Farr and Assoc., David soon became partners with Tom Harsh of Trident Studio/The Scale Model Co. and for two years learned the art and craft of producing finely crafted scale half hulls. 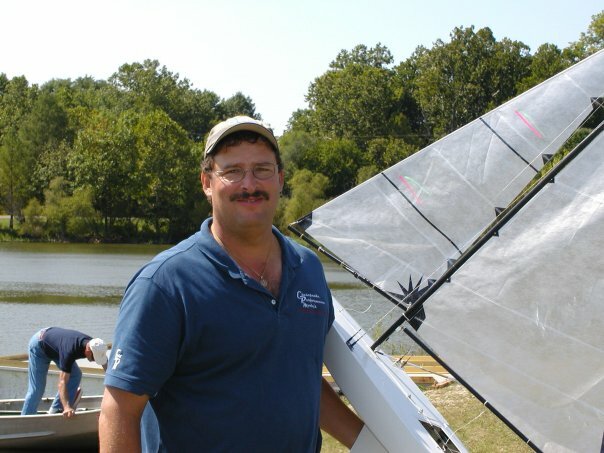 During this time, David experimented with designing RC boats for the One Meter and Marblehead development classes of the American Model Yachting Association. In 1998 David was introduced to the One Design Class CR-914 and shortly thereafter started building CR-914s for local sailors that lacked the skill or time to build the boat themselves. In 1998 David started his own company, Chesapeake Performance Models, and in 1999 in order to meet the growing demand of CR-914 owners what was once a part time venture, developed into a full time business . David has built boats for people all over the US, New Zealand, Canada, Hong Kong, Japan, Norway, and Europe. He has also built CR-914’s for the Whitbread Syndicates, EF Language, Chessie Racing and then Volvo Syndicates, News Corp, AmeriaSports One and Two, Tyco, Illbroke and the latest Volvos MoviStar, Pirates, and Ericsson. CPM is the official model maker for the America True America’s Cup Syndicate and is currently working on projects for the VOLVO Ocean Race. and Americas Cup. In 2010 David purchased the tooling and rights to the CR-914 and is now the world wide Mfg and distributor for the CR-914, approved Mfg. of the EC12 Meter, J Class Shamrock V, Santa Barbara and Star45 class. David is an active RC racer in the CR-914, EC12 Meter J Class and Star 45 Classes . His performance to date is hard to match in the RC sailing community. He is the 1999 CR-914 National Champion finished 2nd at the 914 Nationals for the next 6yrs in a row and broke his Brides Maid tradition by winning the 2007, 2008 and 2011 National titles. He is a six time winner of the CR-914 Spring Invitational Regatta one of the largest one design regattas in the country with other wins in the 914 class at the regional and local level. In the EC12 Meter class David has an impressive record finishing in the running for the National Championship title. David has numerous wins and top three finishes at the regional and local level and is a three time winner of the Region II Colonial Cup. In 2011 David and Chuck Luscomb teamed up to win first place the J Class National Championships in Mystic, CT in a newly finished CPM Shamrock V. In 2012 David traveled to Detroit MI for the J Boat National Championship and finished 2nd. in 2013 the J Class Nationals were held again back in Mystic CT and David won the National Title for the second time and the first time solo.